Hey Family! So today I am going to talk about Wisconsin Medicaid. What it is, who can benefit from it, how to apply and what the requirements for the program are. I think everyone should know what Medicaid is and how it is designed to help the community. Medicaid isn’t a program that was designed to be used, abused and left to hang taxpayers out to dry. No, no, no…. On the contrary. Medicaid, when used properly, is an outstanding and wonderful benefit that can provide those in need with the care that they require. If you are able bodied and choose not to work or choose not to provide health insurance for yourself and your family, I’m not talking to you here. I’m not talking to the takers. I am talking to those who aren’t able bodied, who work but can’t seem to make ends meet, who are blind, the elderly or those who have disabilities. That is who I am talking to. I want to tell YOU (those who could use the help) what Medicaid is, how you can qualify and what steps you need to apply. Medicaid, ForwardHeath, Title 19, Badger Care…. Which is it?!? Let’s just say that it’s “D. All of the above”…. 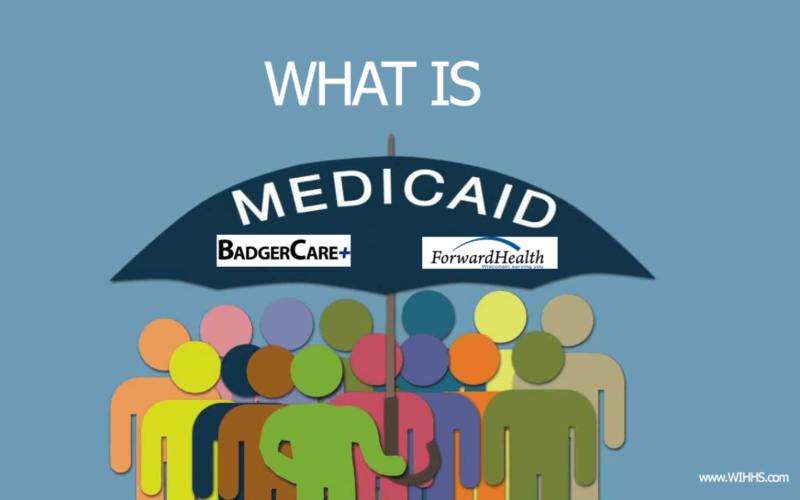 In short: The Federal Law is called Title 19, The Federal program that it governs is Medicaid, The Wisconsin funded Medicaid healthcare is called ForwardHealth, one of the medical benefit programs under ForwardHealth is BadgerCare…. Got it?? Whew, I know that was a lot to go through, good job making it this far! Whom are United States citizens or legal immigrants. The type of Medicaid plan you may be eligible for depends on your income, assets, and the type of care you need. Community Waivers This program is brilliant! It was designed and developed to help the elderly, the blind or disabled individuals remain living in their own homes or in the community, rather than a state institution or a nursing home. I’ll say it again, BRILLIANT! Emergency Services Plan This program was designed to only cover medical services needed for the treatment of an emergency medical condition for documented and undocumented non-citizens. Family Care Family Care is the mother ship program to all the MCOs (Managed Care Organizations) that you may be familiar with already. Have you heard of Community Care? Care Wisconsin? I-Care? (Apparently there is a lot of “care” going on in these MCOs…) I know you see the big vans driving all around with the logos! Basically Family Care funds these MCOs and provides a long-term care program for groups who are elderly, people with physical disabilities or with developmental disabilities. Medicaid Deductible I love this awesome program…. This plan can help you if you have acquired high medical bills and your income is over the Medicaid program income limits. Brilliant yet again! Medicaid Purchase Plan This program provides health care for people with disabilities who work. Yay! Medicare Savings Programs can help some people pay their Medicare Part A and B premiums, coinsurance and deductibles. Well Woman Medicaid Plan helps women who have been diagnosed with and are in need of treatment for breast and cervical cancer. If you are not elderly, blind or disabled, and you are in need of health care coverage, you may be able to enroll in a BadgerCare Plus, including Family Planning Only Services and Prenatal Care Coordination. For more information call Member Services at 1-800-362-3002. To see what programs you may be able to enroll in, visit ACCESS.wi.gov and click on “Am I Eligible?” or go directly to “Apply for Benefits”. I hope this article found you in good health, great humor and you are that much closer to better understanding Medicaid here in Wisconsin than you were before reading it.